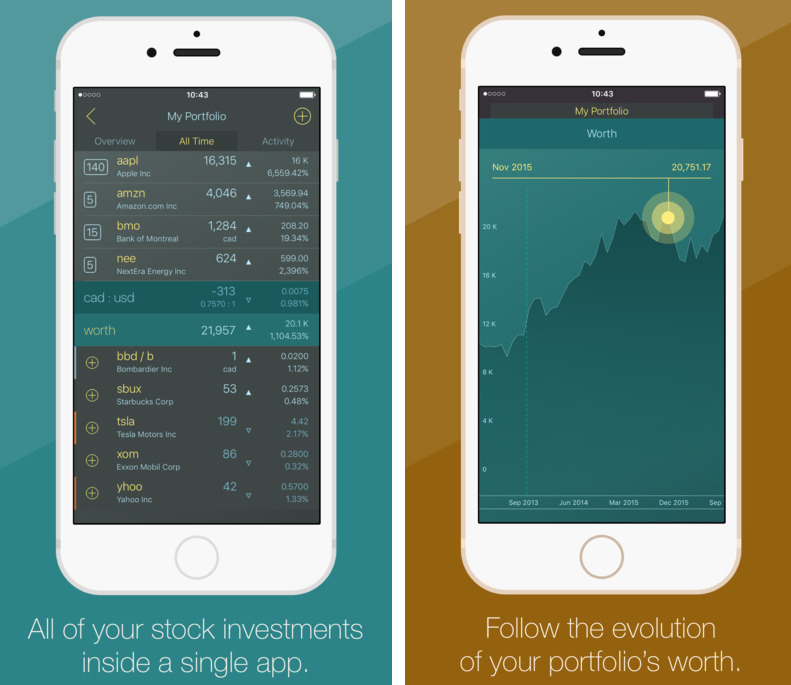 Whether you check your portfolio more than once a day or you just do quarterly adjustments, load one of these stock market apps on your Android phone or tablet and you'll always know how your investments are doing. Gone are the days of dull charts and line graphs; these apps are colorful and offer real-time market and economic news and information, as well as analysis tools. There are many good stock market mobile apps out there, but when we tested them, we found several had too many ads that either made the app difficult to use or slowed the app down. Hence, we finalized our search with Vest: Your Stock Investment Companion. Vest is developed for those who need a complete tool to deal with their stock market needs following the latest trends and information. It is quite easy to use for anyone, all you have to do is to enter your sell and buy transactions to create your portfolios and leave the rest to Vest. If you are just interested in tracking the stocks, still it’s the best choice for you. By using this app, you can track stock and different positions in as many portfolios as you can and it has the function to automatically track and inspect your portfolio’s worth, considering currency exchange rates, stock value fluctuations, splits and dividends. You can compare between different stocks by the help of easy to understand graphs to take informed decision on your investments. With Vest, never miss any important notifications for market news, company positions and about the position, you own. Moreover, you can have a deep insight into the history of certain position by easy personalization option. Certain features of Vest require a paid, auto-renewable subscription, allowing you to track investments in multiple portfolios and invest in more than two positions. Whereas this app is, free to download on iOS devices.